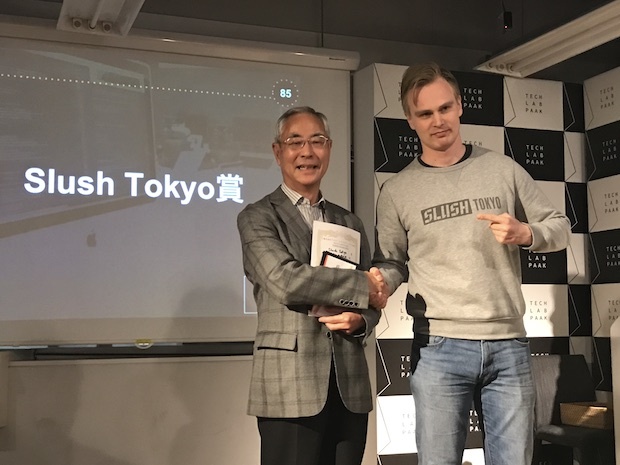 Japan’s Recruit Holdings (TSE:6098, hereafter called Recruit) this month held a Demo Day for the 7th batch of its startup accelerator Tech Lab Paak based in Shibuya, Tokyo. 13 teams gave 3-minutes pitches presenting their half-year’s results since joining the program. 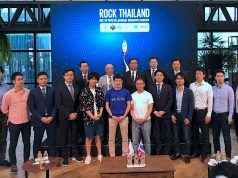 In addition, 5 teams made 1-minute pitches although they were excluded from the examination, and thereby it became a big pitch event totaling at 18 teams. 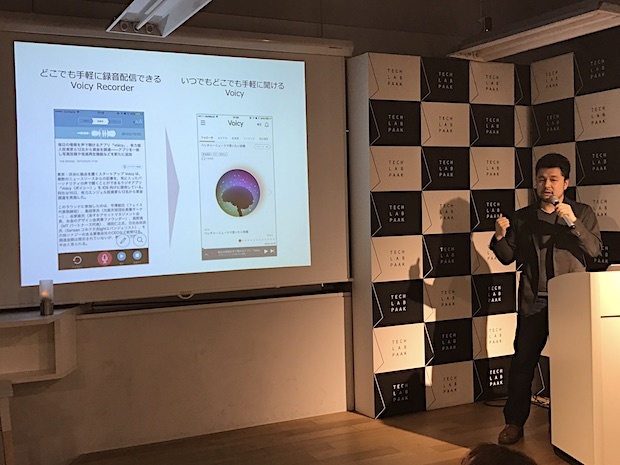 Voicy, launched last September, is a content reader mobile app having various voices including professional voice actors/actresses and amateur radio Disc Jockeys. The number of source media increased from 8 upon launch to 25, in addition to the number of channels increasing from 40 to 140. Attracting many applicants for the newcomer reader audition, there has been channels full of individuality by amateur to professional readers. The average stay time of the app exceeds 20 minutes in a day, and that may reflect the characteristics of the voice as a unique content. Regarding the staff composition, Kanta Akiyama who was engaged in the establishment of a startup support project Sankaku at Recruit Career joined the team as COO, and Masayuki Ito who has enough experience of PL (project leader) or PM (project manager) at major IT vendors joined as CIO not to mention the current members at founding / CEO Ogata and CTO Yuji Kubota. This month, the firm announced a renewal of its UI and logo of the app as well as success in angel round-funding from 12 famous individual investors. 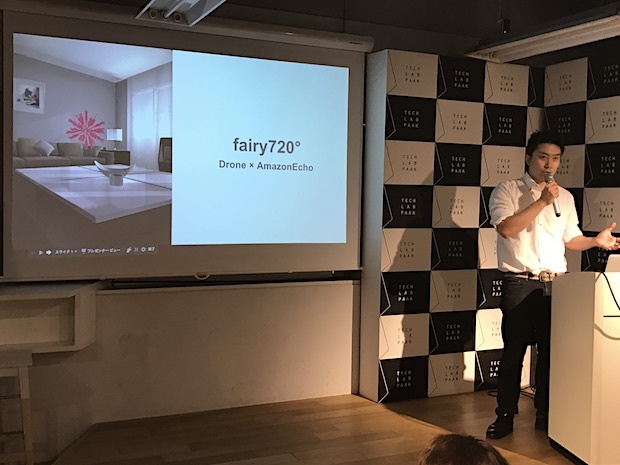 Cuelebre develops a product called Fairy 720° which has the idea of drone plus voice recognition based on a concept of “daily life with a fairy” (fairy referring to the drone). When one uses a voice recognition assistant like Alexa, he / she has to move closer to it or speak as loud as the voice can reach. On the other hand, this device comes close on its own to a place where the user is. Since the noises generated by drone’s power unit or propeller become an obstacle to the voice recognition process, this device moves silently to the desired location by being suspended from three points on the ceiling with strings and by controlling the tension degree of the string using remote-controlled motors. 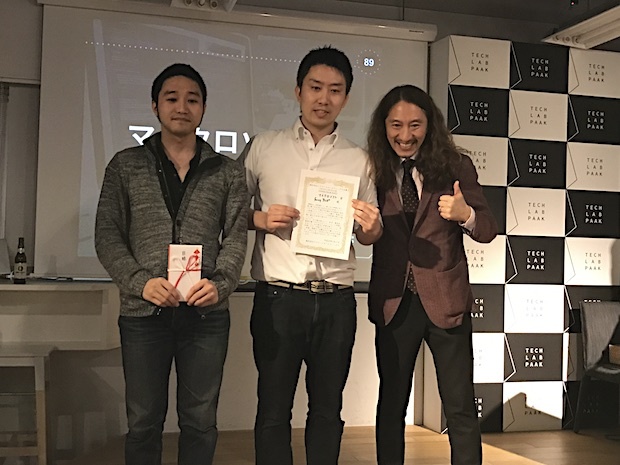 The team was chosen as a participant in the Program for Dispatching Global Entrepreneurs to the U.S. under the Project for Fostering Global Entrepreneurs run by the Japanese Ministry of Economy, Trade and Industry, and this month exhibited the product at SXSW 2017 held at Austin, Texas. Hiroshi Sato had hit upon an idea of making a robot write beautiful handwritten-characters and sending them as a letter, and therefore developed this system. At first, it could write Japanese characters only in fixed fonts such as the block style, but Sato succeeded in reproducing a slightly rough style as human handwriting through deforming fonts by its unique character-generation technology. Through results from a questionnaire-type survey, he received some feedbacks requesting a system for handwritten-like sentence styles or illustration, in addition to characters. 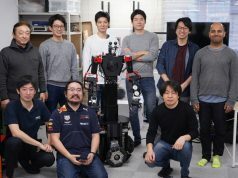 Sato’s immediate plans are to patent the character-generation technology and to recruit co-founding members, while securing a seed fund for commercialization. 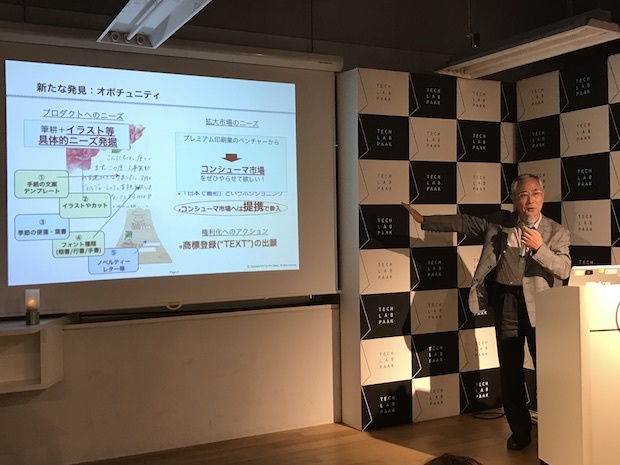 He implied that this service can support many languages other than Japanese if only successful in font customization of his character-generation technology. 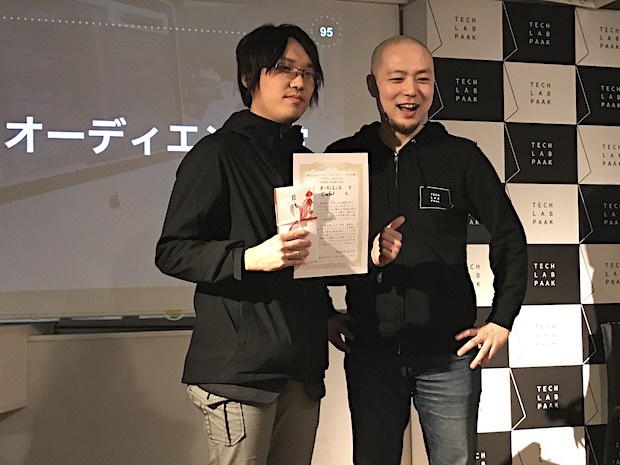 Cover, led by serial entrepreneur Motoaki Tanigo, exhibited a VR (virtual reality) / AR (augmented reality) social service for VR / AR users. Currently, it has been distributing the VR ping-pong match game Ping Pong League as its first product via the game distribution platform Steam, and plans to launch a VR Live system which is integrated with UGC (user generated media) or broadcasting system in the near future. What this VR service is aiming to is largely categorized by two themes: the match game service and the UGC service. 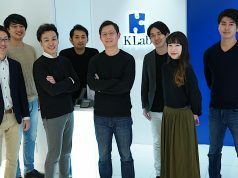 The team will take on development of a platform as an Internet service provider rather than as a game developer, and shows its stance in providing a free service continuously, not selling pay-for-play games. The team showed its enthusiasm toward expanding its service to social VR fitness services, VR mahjongg shops or VR experiences at sports centers. Craful offers online media focused on handicraft field Handful and has currently been posting 100 articles a month, attracting accesses from 500,000 unique users. 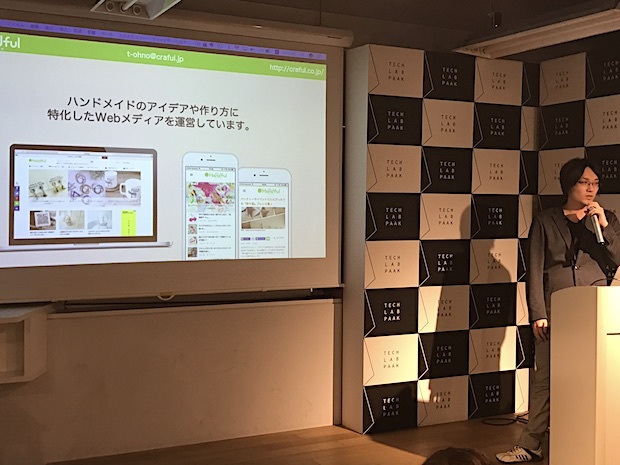 CEO of Craful Takumi Ohno told that he also enjoys leather crafting as a hobby but had difficulties at the beginning in understanding which materials or tools were required. The firm plans monetization by selling starter kits for handicraft beginners or with an advertisement charge; 95% of the viewers are women with the largest segment being 25 to 44 years old. 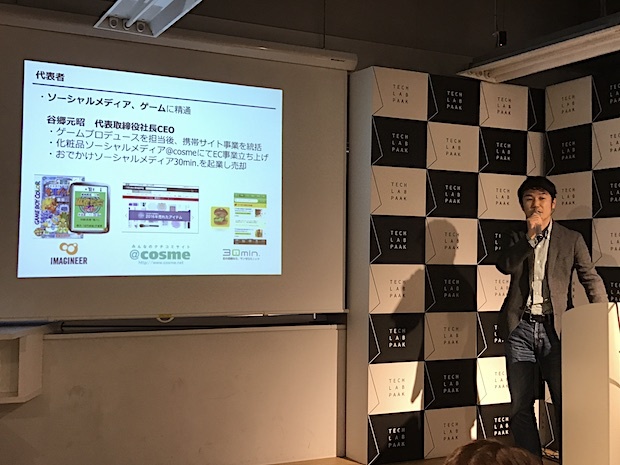 The firm also runs CGM (Consumer Generated Media)-type media Craful, allowing users to share photo, idea or method of handicrafts, and fundraised a total of 39.6 million yen (about $360,000) from ES Networks, Colopl Next, SunBridge and Daiwa Corporate Investment this February. 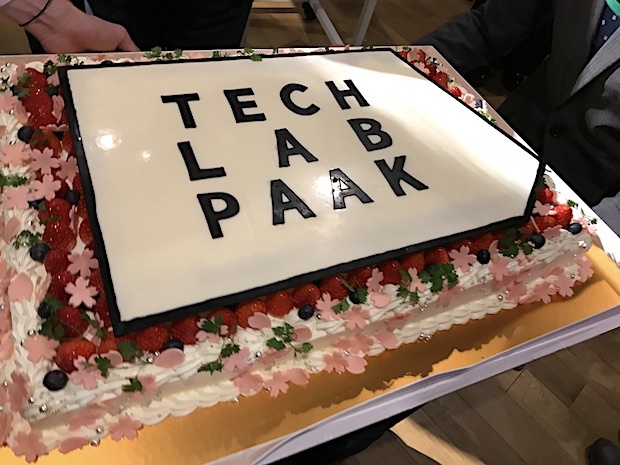 Incidentally, Tech Lab Paak announced this day that it renewed the logo and rearranged the facility space. 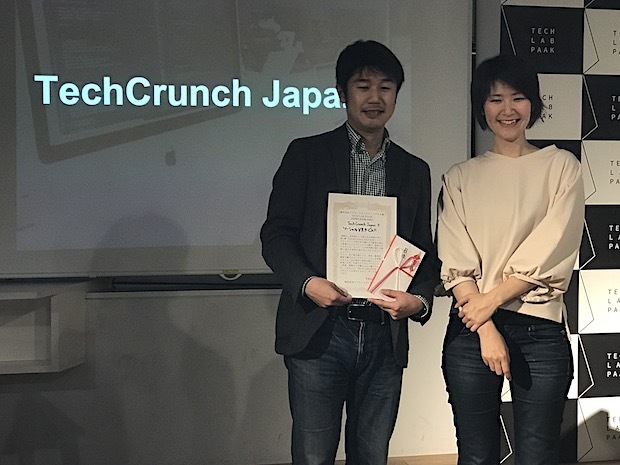 The new logo, co-produced by Justin Sharp and Junko Ikemura, was chosen as the first prize from submissions from the public. The current logo is designed as a pentagon with a motif of the top view of the building, while the new one is designed as a pentagon with isolated lines. 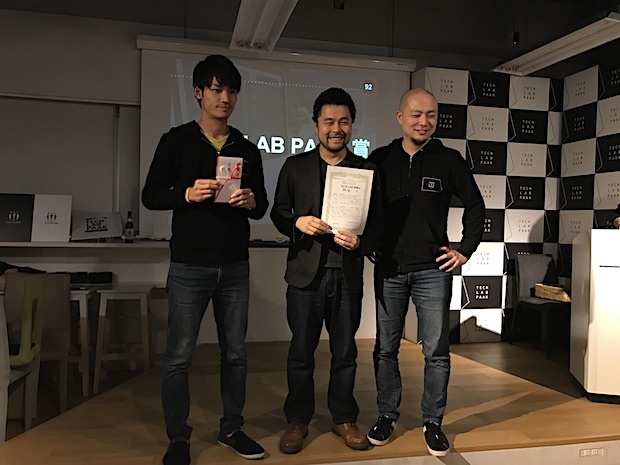 Aso, who is also Director of Tech Lab Paak, said that it appeals the brand image of Tech Lab Paak that keeps changing continuously by altering a part of the design of the new logo whenever opportunity appears. The logo renewal and the space rearrangement is scheduled in late April. Since no large-scale construction work is needed for the rearrangement, any temporary closing is not planned during the construction term.